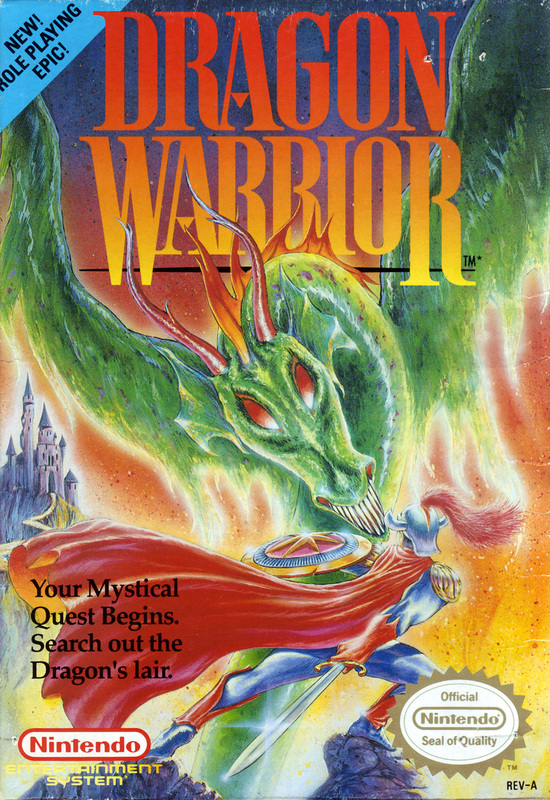 Краткое описание: Dragon Warrior uses console role-playing game mechanics which were described by Kurt Kalata of Gamasutra as archaic in 2008. The player takes the role of a namable Hero. The Hero's name has an effect on his statistical growth over the course of the game. Battles are fought in a turn-based format and experience points and gold are awarded after every battle, allowing the Hero to level-up in ability and allows them to buy better weapons, armor, and items. Progression consists of traveling over an overworld map and through dungeons, fighting monsters encountered via random battles along the journey.
" 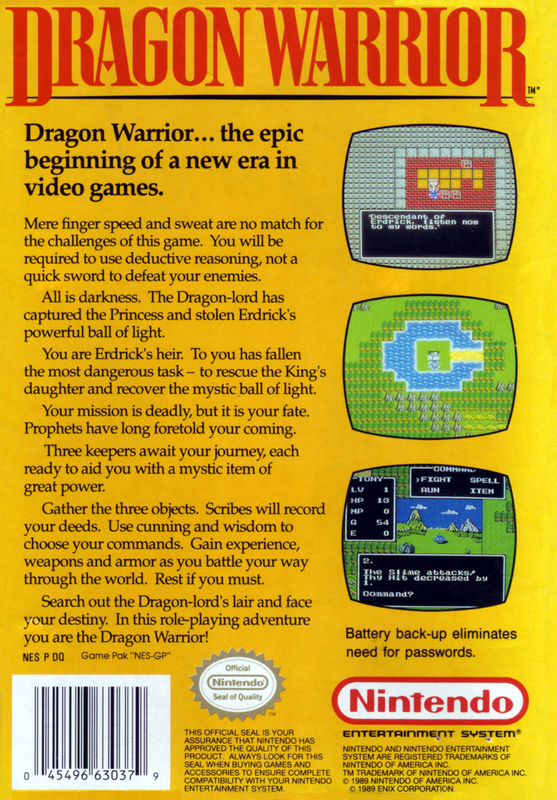 As a whole, Dragon Warrior has been credited with establishing the basic template for the Japanese console RPGs that followed. " 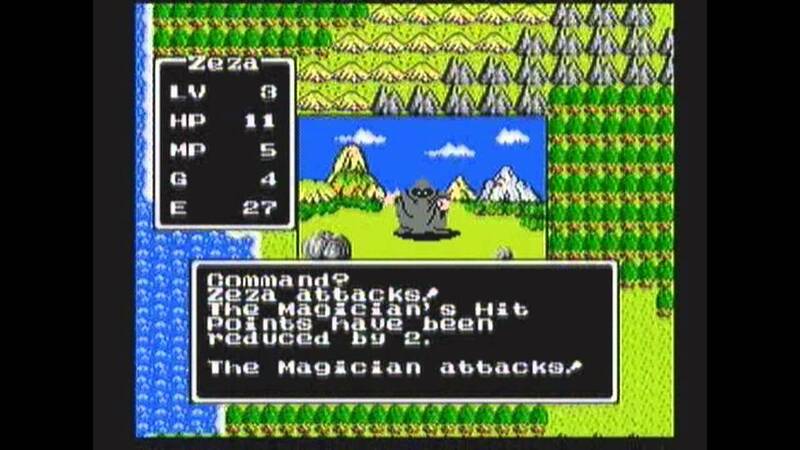 -Wikipedia Dragon Warrior uses console role-playing game mechanics which were described by Kurt Kalata of Gamasutra as archaic in 2008. 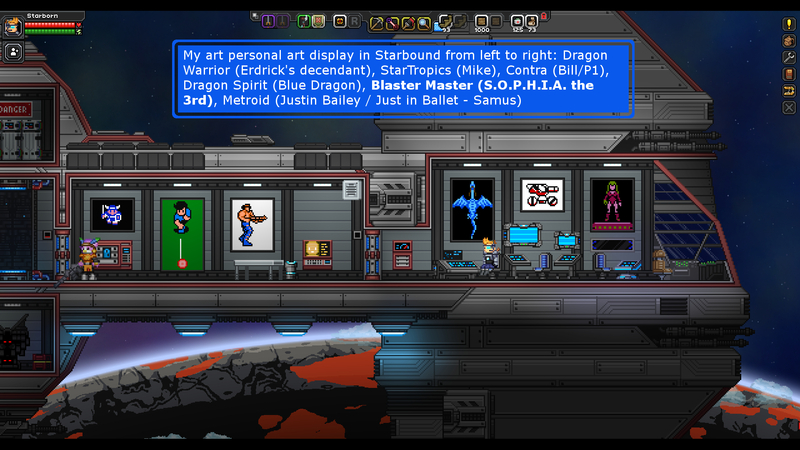 The player takes the role of a namable Hero. The Hero's name has an effect on his statistical growth over the course of the game. Battles are fought in a turn-based format and experience points and gold are awarded after every battle, allowing the Hero to level-up in ability and allows them to buy better weapons, armor, and items. 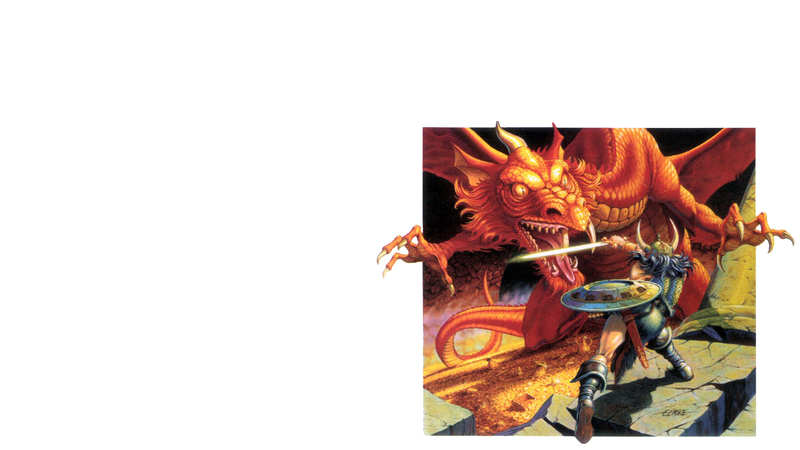 Progression consists of traveling over an overworld map and through dungeons, fighting monsters encountered via random battles along the journey.